26 photos of class 33 Kriegslok 2-10-0 and class 62 0-6-0T steam locomotives at one of Europe's last working depots. 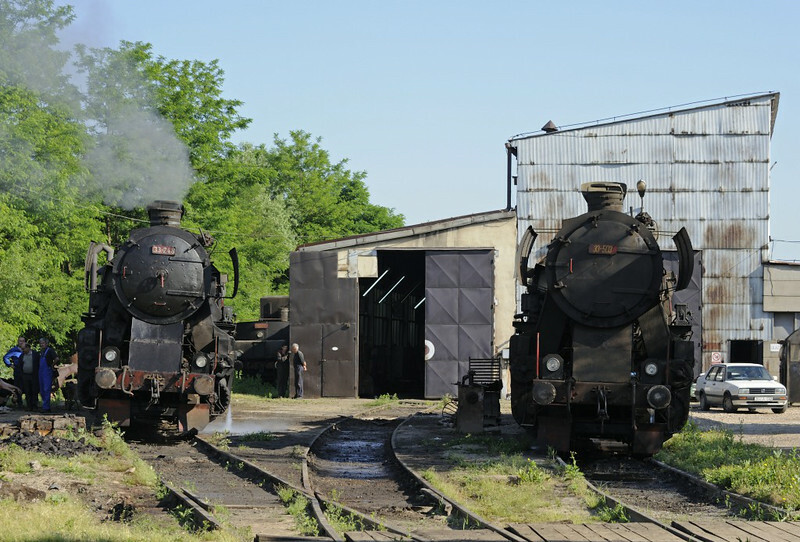 33-248 & 33-503, Bukinje loco shed, Tuzla, Bosnia-Hercegovina, Tues 10 June 2014 1. The tender of 33-504 can just be seen beyond 33-248.